Summer is already half way through and we are no strangers to the latest summer trend sweeping NYC— Tropical Outdoor Getaways! Of course relaxing, tropical settings are not what you think of when pondering where to get your next drink in the concrete jungle. However, clever bar owners are catching on to what people want— a faux escape in their backyard! 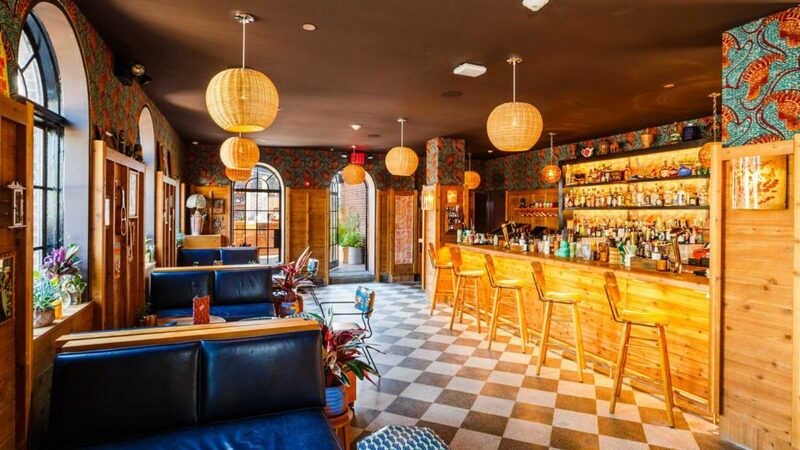 Here, we’ll reveal our favorite spots to get a cool drink in a wild setting for those that need a break from the traditional, dark bar scene! 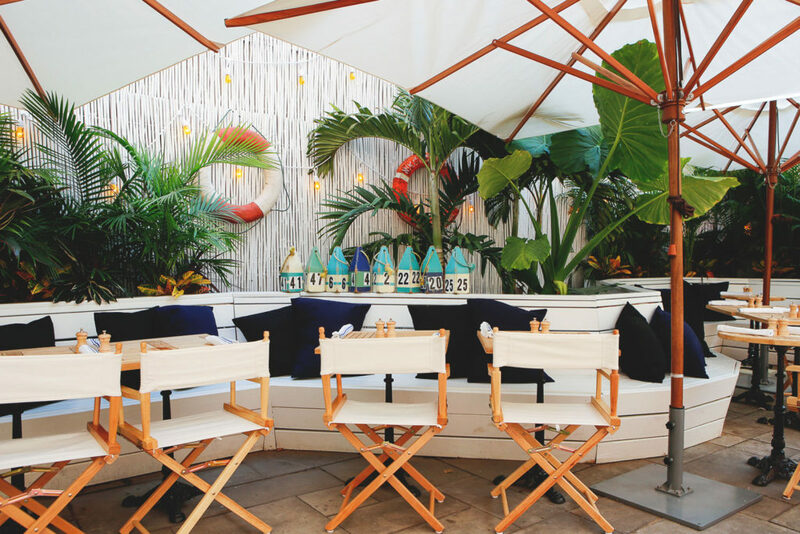 This jaw-dropping, instagram-worthy indoor / outdoor rooftop takes on the tiki bar in a fun, urban twist! Decked with four bars, this sky-high oasis serves creative, destination drinks based on the New York and Miami outposts. During the day guests can wander through the tropical lounges to find a quiet nook to chat, and at night a DJ emerges to keep the vibes flowing. With a motto that reads “What one rum can’t do, three rums can” there’s no doubt The Polynesian is a good time. For guests looking for a tropical getaway but can’t take time off, this is the next best thing. 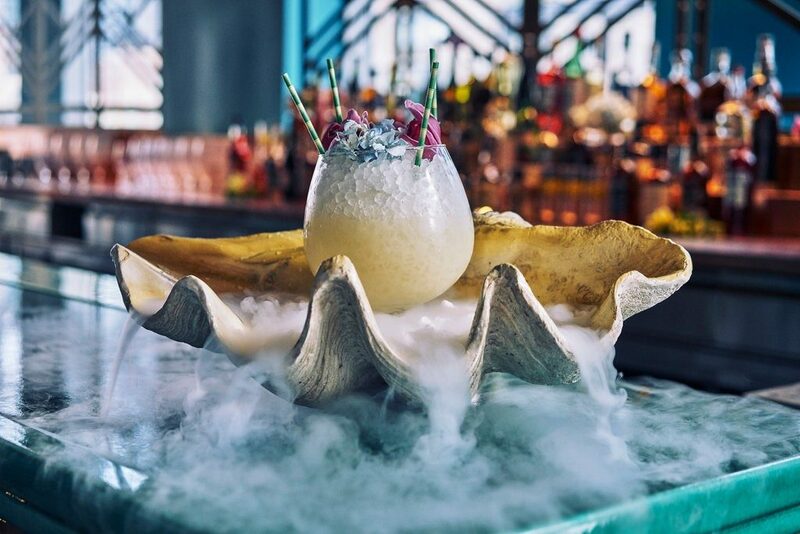 Drinks are served in unconventional vessels, ranging from a wooden treasure chest to a smoking conch shell. While the drinks are playful, the decor is artfully crafted and high-end. A mini tropical oasis in the middle of SoHo, Gilligan’s is a much smaller and laid back alternative to the suggestions above, yet remains just as charming. While the other bars exist as places to be seen, Gilligan’s is where you go to escape and hide away from your every day life. SEQ TIP: We highly recommend the watermelon margarita!